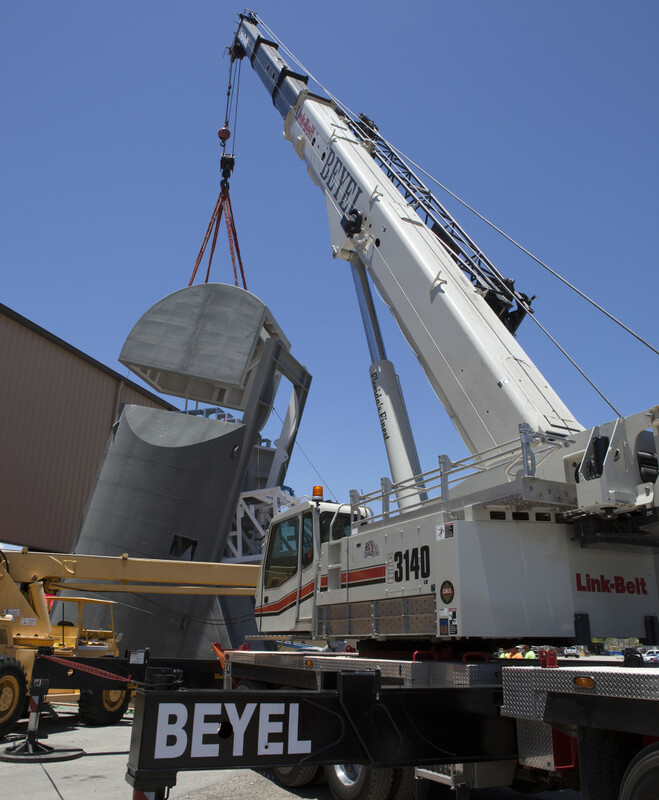 The second half of the D-level work platforms for NASA’s Space Launch System (SLS), D North, arrived at the agency’s Kennedy Space Center on June 27. The D work platforms are the seventh set of new platforms to arrive at Kennedy. 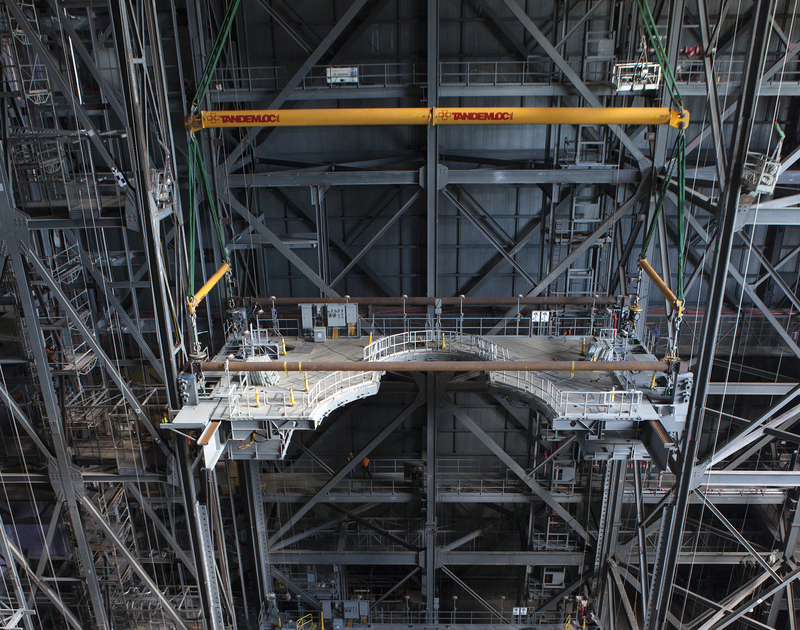 A total of 10 levels of work platforms will surround the SLS rocket and Orion spacecraft in the Vehicle Assembly Building (VAB) and provide access for processing. The platform was transported from Sauer Corp. in Orlando, Florida, by Tillett Heavy Haul of Titusville, Florida. Sauer is a subcontractor to VAB general contractor Hensel Phelps. Tillett Heavy Haul is a subcontractor to Sauer. The platform was placed on a stand in a staging area near the VAB, where some final assembly will be performed before it is transferred into the building. 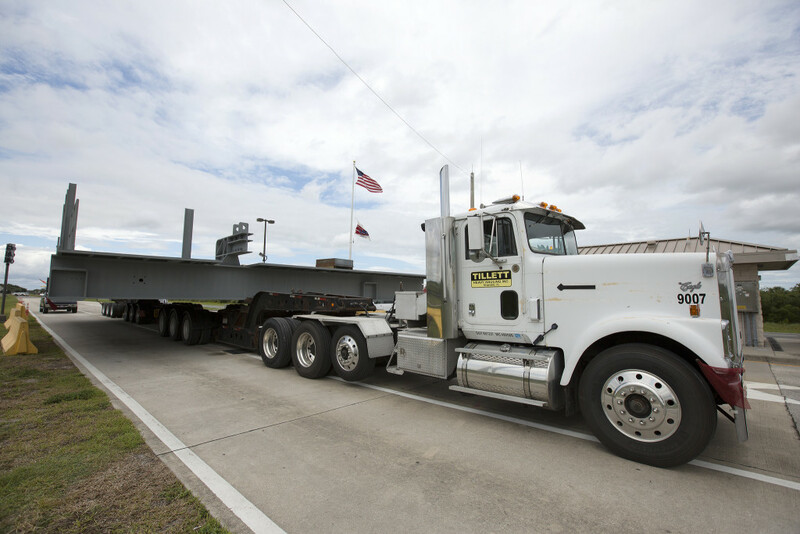 A heavy load transport truck from Tillett Heavy Hauling in Titusville, Florida, arrives at the north entrance gate at NASA’s Kennedy Space Center in Florida, carrying the first half of the D-level work platforms, D south, for the agency’s Space Launch System (SLS) rocket. 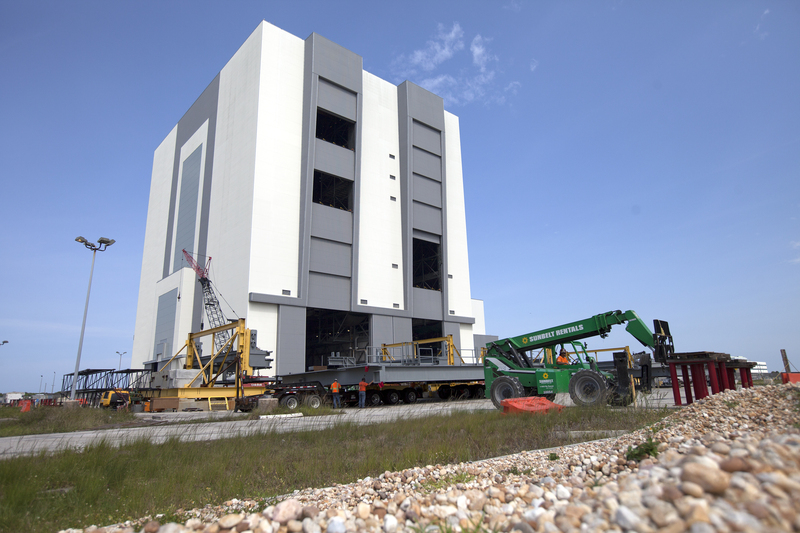 The platform will be delivered to the Vehicle Assembly Building (VAB) staging area in the west parking lot. The Ground Systems Development and Operations Program is overseeing upgrades and modifications to VAB High Bay 3 to support processing of the SLS and Orion spacecraft. A total of 10 levels of new platforms, 20 platform halves altogether, will surround the SLS rocket and Orion spacecraft and provide access for testing and processing to prepare for Exploration Mission 1.